I create a new Evernote, and attach a link from Google Drive. After I have saved the note, I click to open the link. Error: Unable to access document. Please make sure you are connected to the Internet. Evernote for Web can access the document through the link. 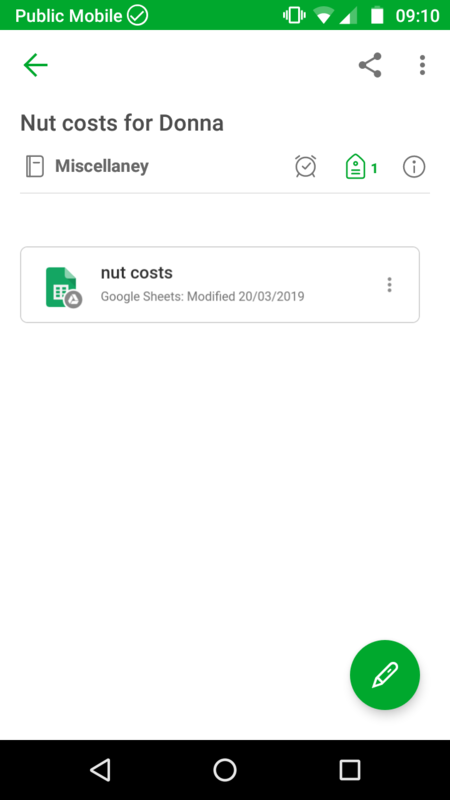 The screenshot (from phone) shows the link as Sheets, but EN is also unable to access Docs. By the way, I am connected to the Internet. Hi. May have been a connection problem on the local network. If it happens again I'd suggest contacting Evernote Support as you're a subscriber.